As parents we want our kids to inherit the best of our qualities and we often pray that they don't acquire the flaws and traits we detest in ourselves. I have never been inclined to numbers, never had aptitude for things that I could not see, touch, feel; so, while I enjoyed social sciences and biology; physics, chemistry and maths never made much sense to me. This clearly means that every human has these abilities with varying degrees or intensities and these need to be understood and explored at the right time. Generally, of all these abilities/intelligences verbal-linguistic and logical-mathematical intelligences are the ones that are most focussed on in mainstream school curriculum, but again are not taught the right way. That is the reason till very late in life majority of people fail to identify which field they can excel in. I was miserable with numbers because my basics were not clear and there weren't enough tools to drive my interest to it. Times have changed and so has the teaching methodology. While we only had black board and books; now there are ample of interesting learning aids available much before a child starts going to school. There are toys available that focus on triggering mathematical and technological abilities of kids quite early on in life. Often known as STEM learning, where STEM Stands for science technology engineering mathematics. STEM learning starts at the age of 7. It is not only about Maths learning or technology learning, but it is a combination of any of these 4 areas that together improves logical thinking and helps in raising adults who can fare well in their life ahead or can be employed in jobs that are related to science and technology. In other words it is like developing innovators and doers. How as parents can we help our children build stronger foundation for tomorrow? 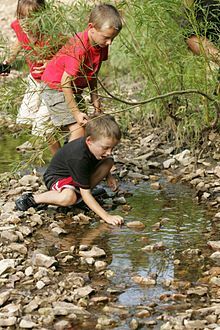 • The closer kids are to nature, the better their learning is. It is important that kids are left to play outdoors. • Teaching same thing with multiple objects and in different settings. • Minimising exposure to screen. • Taking the child to field trips, nature walks, hikes etc. • Allowing the child to explore and create games on his own rather than having a structured play. These are a few of the many things that we as parents can practice to inculcate STEM learning. We are lucky to have options of toys and tools that assist in Pre-STEM learning; that is preparing a child for STEM learning; Skola toys is one of the brands offering great variety of educational toys. The ultimate goal of Skola is to improve fine motor skills which not only helps in engineering, but more importantly it helps children think clearly and enhances concentration and cognitive ability, spatial intelligence which is directly a STEM requirement. The well researched skola toys' range focuses on fine motor skills, geometry, pattern recognition, numbers, colors and much more. For example- their toys like rolling car slope, cascade car and sand pendulum etc. help kids learn about motion, speed, force and visual tracking which is the base for physics. Click Here to check Skola toys website. STEM learning supports the innate curiosity of little kids and thus, the best time to start it is as as early as you can. Let us make learning relevant and joyful for our kids; let us try to build stronger foundation for tomorrow and let us try to raise happier individuals. This is a very good guide for parents can we help our children build stronger foundation for tomorrow. I loved the concept of stem learning and would like to implement on my daughter as well. True. Very well written article. I am glad people are talking about it. When I was growing up, it was a crime to be poor at Mathematica. I am glad there is more awareness now. I was also not good in maths . But same i want my kids never face such problems that i faced because of lack of interest in maths. The concept of stem learning sounds very important for kids to know. Great write up. Stem learning sounds very interesting and important for kids..
What a great concept of STEM learning for kids, SKOLA is doing fab job combining fun with learning. Skola toys sound very innovative.Will be checking them out. Skola toys has a very nice ideology. It's great we have something to ensure proper development of our kids while they play. Thanks you very this insightful post. Really appreciate. This is such a great concept for kids! Good for both playing and educational purpose! Stem learning is totally new concept to me. Would love to introduce my daughter about this. STEM is something which is doing rounds everywhere. I am definitely going to learn and take a step towards it.